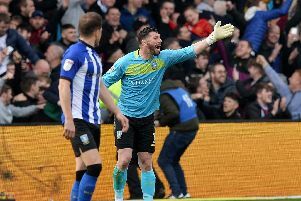 Sheffield Wednesday plumped new depths with an abject, insipid second half surrender in front of their own supporters. In-form Norwich tore the Owls to shreds defensively to condemn Jos Luhukay's men to a fourth consecutive Championship defeat. Thousands of Wednesdayites streamed out of the stadium with over half an hour remaining. Those that stayed behind loudly booed the team off at full time. The home faithful also vented their frustration after Norwich's second goal, chanting the names of out-of-favour duo Keiren Westwood and Sam Hutchinson after another defensive horror show. 'Oh Sammy Sammy.... Sammy Sammy Sammy Sammy Hutchinson' and 'There's only one Keiren Westwood' rang around three sides of the ground. What is hard to stomach is that the Owls made the Canaries look a lot better than they actually are. Norwich looked distinctly ordinary in the first half and appeared there for the taking. But Wednesday caved in after Teemu Pukki's 51st minute opener. Devoid of belief, ideas and confidence, the Owls collapsed, folding faster than a pack of cards. Norwich looked capable of scoring with every attack. Where was the character? The leadership? The fight? Norwich maybe riding high at the top but Wednesday capitulated. This felt like a desperate new low. Midfielder Barry Bannan said: "It's not a great feeling. We are going through a tough time at the minute. "It is not good enough and we know it is not good enough. It is frustrating. "We should have gone into the break with a few goals under our belt. We missed a good few chances. "In the second half, it was likely a completely different team that was out there. "It is hard and everyone is frustrated. "We have got to keep working hard. Obviously, January is a long way away so we can't get players in. "It's that group in there that have got to work their hearts out for this club and fight and hopefully it will turn round." It is hard to not feel some sympathy for beleaguered Owls boss Jos Luhukay. He inherited an ageing, injury-hit team and the Dutchman has only been able to sign three players (two on loan) in 10 months in charge. It is admirable too that Luhukay has blooded youth and attempted to lower the average age of the squad. There is a big rebuilding job to be done at S6. However, he has made a number of mistakes since the last international break. Luhukay's muddled team selection and tactics have contributed to Wednesday's loss of form. He has constantly tinkered with the team, the formation and alienated a large section of the fan-base by exiling experienced stars from the squad such as Westwood and Hutchinson. Yet again Luhukay rejigged his brittle defence, leaving out Michael Hector and Morgan Fox in favour of Daniel Pudil and Matt Penney. Eyebrows were raised over Luhukay's decision to drop Hector. From the club's player of the month for October to on the bench for the first match of November. For many, another puzzling call. But Luhukay's lack of proactiveness was inexcusable. It took him until the 70th minute to make a substitution when the game was already over. His tactical changes, not for the first time, came far too late. Hector played no part. Perhaps things could have been different had Josh Onomah (2), Bannan or Adam Reach converted their opportunities in the opening 45 minutes. Norwich stood firm and cashed in on Wednesday's defending, which was nothing short of abysmal, after the restart. It would not have flattered the visitors had they hit eight, with Cameron Dawson producing a string of fine saves late on. Luhukay's feeble backline has now let in 12 goals in the last four outings. No clean sheets in SIXTEEN league matches. It makes for truly horrendous reading. 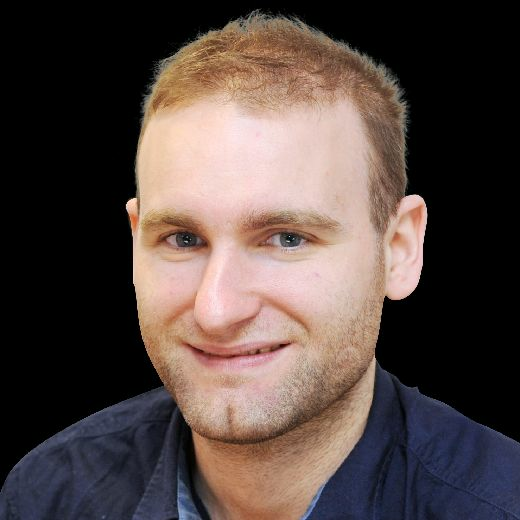 "We are conceding too many goals as a team," said Bannan. "You are never going to win games when you are conceding all the time. "It will come back to bite you so we need to address that. It is not pointing the finger at the defence. It is the whole team. We need to work harder defensively to keep the ball out of the net. "I think we were very good (defensively) in the first half apart from the penalty. We never really gave any chances to Norwich but in the second, as soon as they scored, just like in recent weeks, we went under. We gave them the freedom of the pitch and we need to address that and quickly. "It doesn't hurt us enough when we concede. We keep conceding goals at will. We need to address it and address it quickly." Six months ago, Wednesday thumped Norwich 5-1 in their own backyard. Since then, the Owls have regressed and the Canaries have kicked on. Now Wednesday are in freefall and are looking nervously at the bottom three after a dire home performance.